Limited Edition of 200 on 180 gram yellow vinyl; includes printed lyric insert. Features the bonus track "Hiro's Song" that was only available on Japanese CD & US vinyl editions. I think the pressing sounds really good, but the color is ugly as sin. This pressing attributes as to why I'm in the vinyl game. The sound is top notch and the vinyl has this slick shade of yellow. 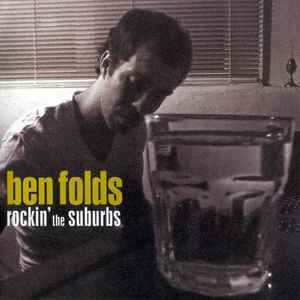 Rockin' The Suburbs is one of my personal favorite albums ever. With all of these qualities put together into motion I'm one very happy guy. My favorite album of the 2000's. ORG Music put out a great special edition here, guys. The sounds is amazing and the packaging is decent. The vinyl is 180g, lyric insert included & the color is a creamy yellow. The 4th side does not have an etching, just label. All in all I could not be happier...GET THIS IF YOU CAN!